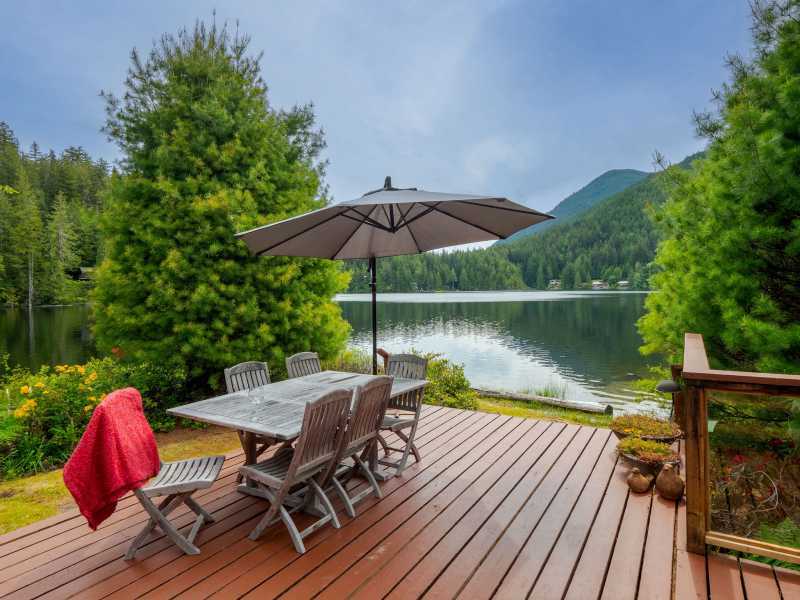 North Lake Waterfront Home is a comfortable, newly-furnished home featuring spectacular panoramic lake views both upstairs and down. Wake up to the morning sun breaking through the mist that clings to the water. With its fully equipped kitchen and laundry facilities, you have all the convenience of city dwelling in a secluded natural setting. 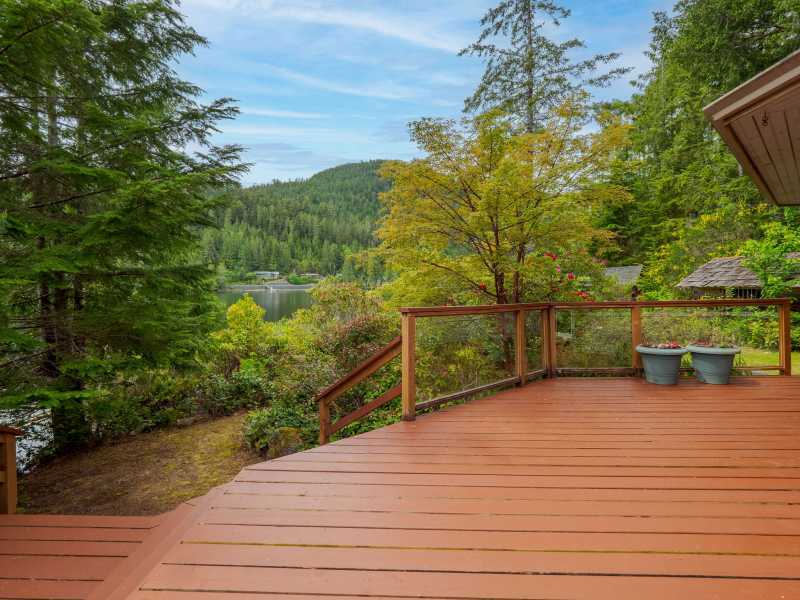 North Lake Waterfront Home features a large deck situated only steps from the water's edge on North Lake. Walk right in the crystal-clear water from the sandy beach. This beach also happens to be a nesting ground for the endangered Western Painted Turtle - if you're very lucky, you may get to witness some egg-laying or hatching activity. The home boasts 180 degree panoramic lake views from the open plan living room/ eating area downstairs and from the master bedroom upstairs. The master bedroom features a comfortable hand-crafted four-poster bed, while the downstairs bedroom offers two twin beds which can be pushed together to make a King. Curl up to the cozy wood-burning stove and watch a DVD, listen to music or play one of the many board games available. There are 2 private docks with a rowboat, paddle boat and life jackets for guest's use. The grounds are carefully landscaped, displaying dozens of varieties of Rhododendrons and other local indigenous plant species. 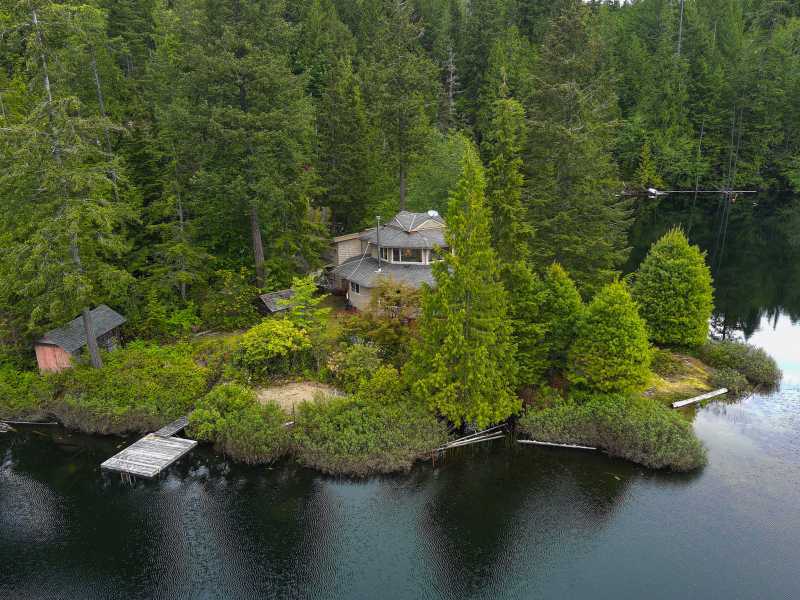 The Lakeside Cottage is just 100 meters down the driveway from this Vacation Home. 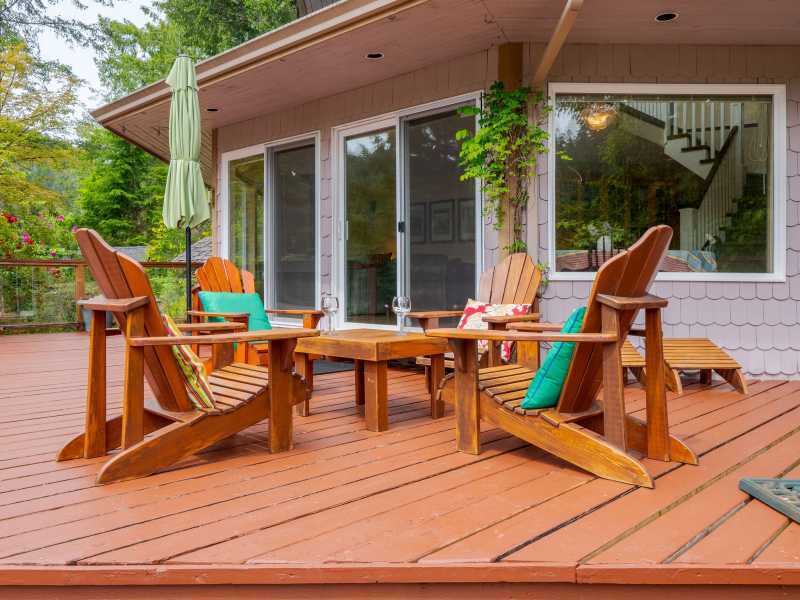 Renting both can be the perfect solution for a party of six, offering one couple an extra degree of privacy. 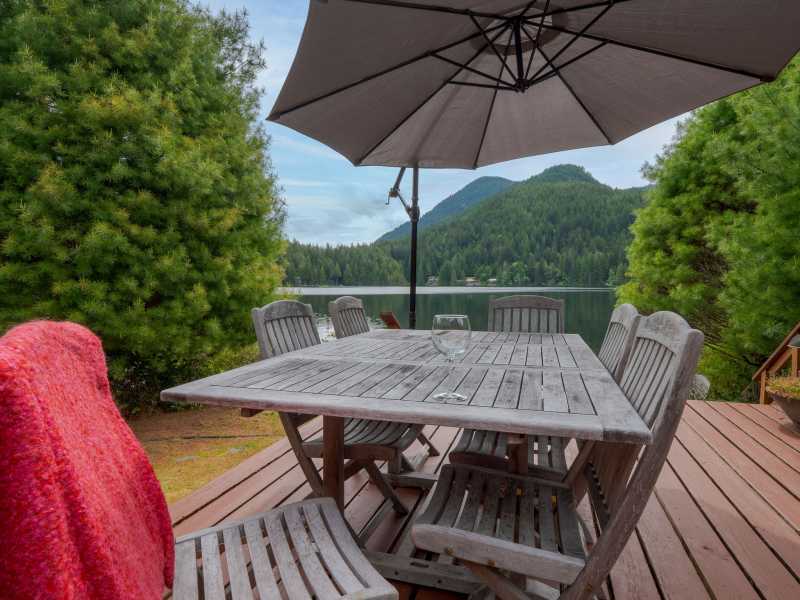 North Lake Waterfront Home is located on the North end of the Sunshine Coast of BC, just outside of the village of Egmont and a hop skip and a jump from Vancouver by ferry. 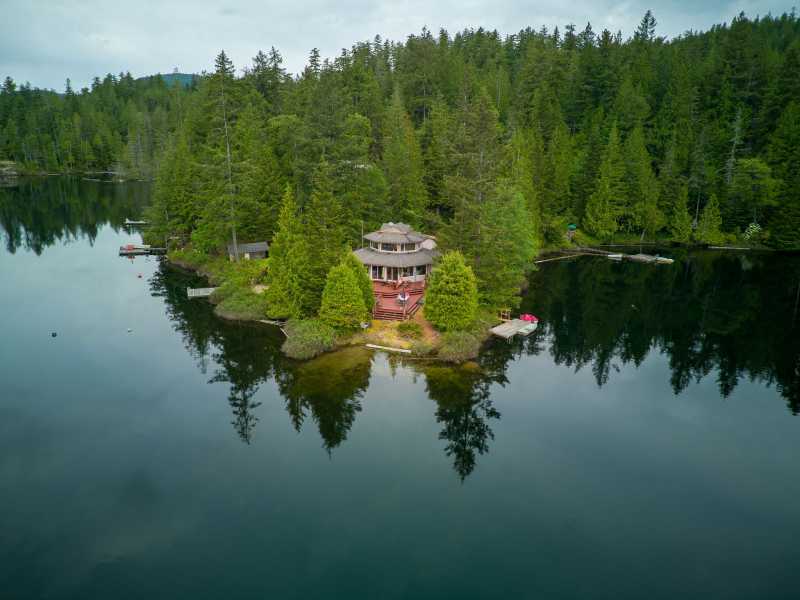 Relax and enjoy the 40 minute ferry ride and the scenery of fir and cedar treed islands and majestic coastal mountains. 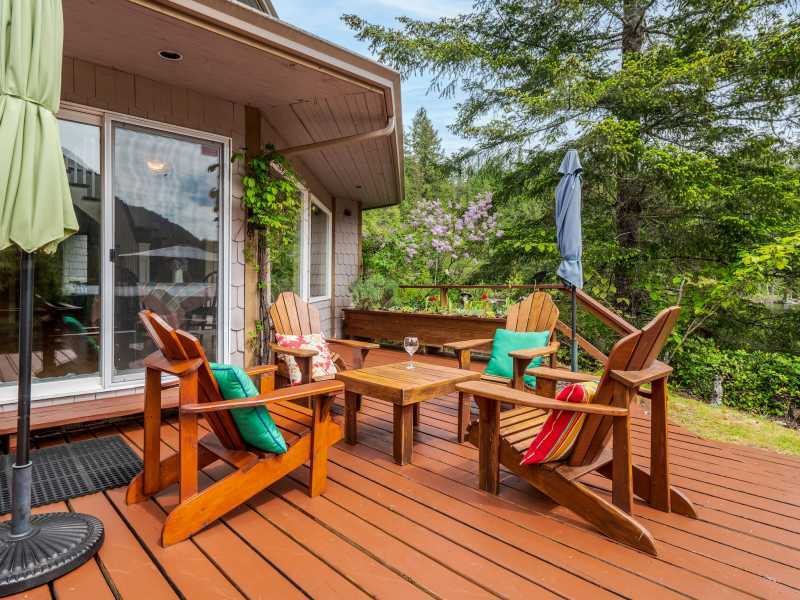 Once you arrive in Gibsons, it is a scenic drive up the coast to our waterfront accommodations. Sit on our sandy beach and soak up the sun in your own private retreat. 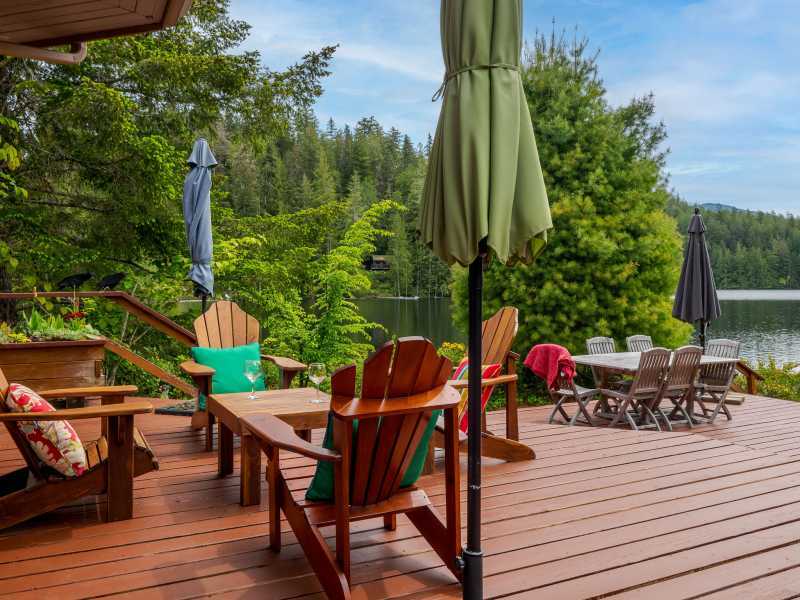 Or relax with your coffee on the deck while you listen to the call of the loons off in the distance.In the summer, the lake reaches warm temperatures for swimming. In the winter, enjoy a book by the fireplace or try your luck fishing for lake trout. 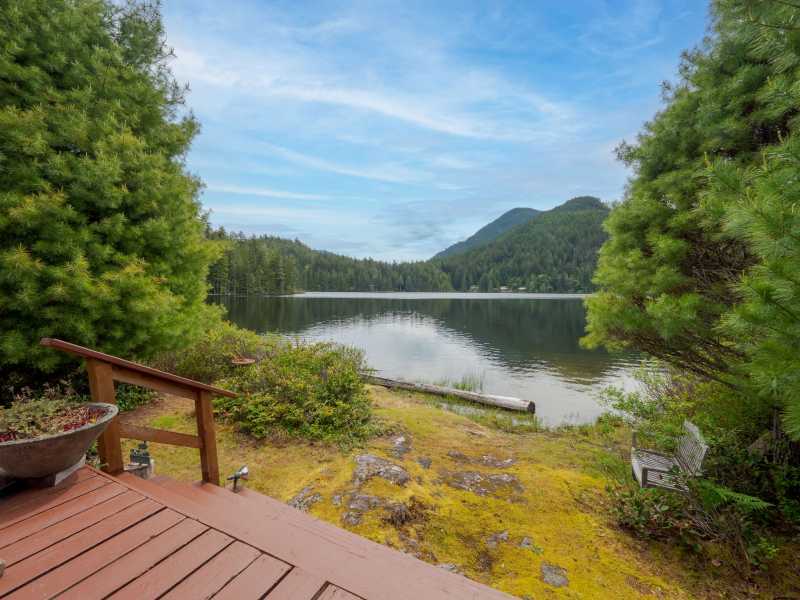 There are no motorized boats on North Lake, so if peace and quiet is what you're looking for then you have come to the right spot! We request that guests respect the tranquility of the setting and adhere to the 11 pm outdoor noise curfew during their stay. Interested in viewing the famous Skookumchuck Rapids? Just continue down Egmont Road to the start of the Skookumchuck Trail- only 5 minutes away. Just a short drive away is the Backeddy Pub and Marina and the sea. Here you can take a cruise on world famous Princess Louisa or try a burger in the pub while you watch the boats come and go. In the evening, barbecue fresh prawns or a salmon caught fresh on the Sunshine Coast. The Ruby Lake Resort, only 10 minutes away, features fine Italian-inspired cuisine. Please note Bookings from October 1 to May 31 require a 7 night minimum stay. Peak summer season term rates apply operating from Saturday to Saturday. There is a fold out couch in the living area.